On the screenshot below you can see that the additional “Gift Information” section has been added. We already worked with this fields in previous posts in this series. WooCommerce Processing Order email with Default Email Theme. If you add the below code to your functions.php, the “Gift” section will be added mostly for all default WooCommerce emails, except “New Account” and “Reset Password” emails. 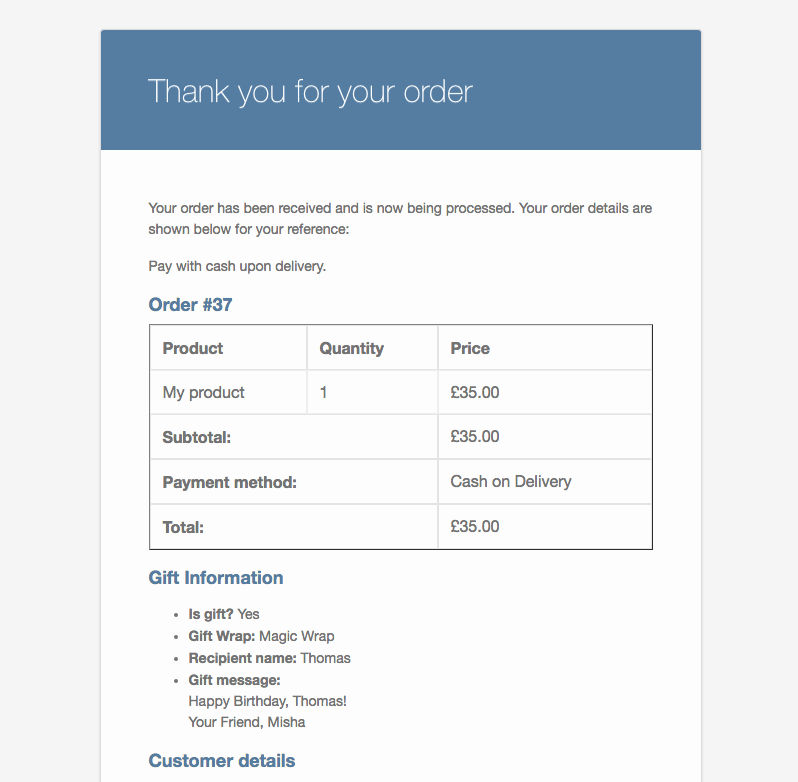 Each WooCommerce email can be configured to be sent and displayed as a plain text email. Lines 23 and 34–42 in the above code are just for it. If you look through official WooCommerce tutorials and some other tutorials over the internet, you will find out that people use woocommerce_email_order_meta_fields and woocommerce_email_order_meta_keys filter hooks. 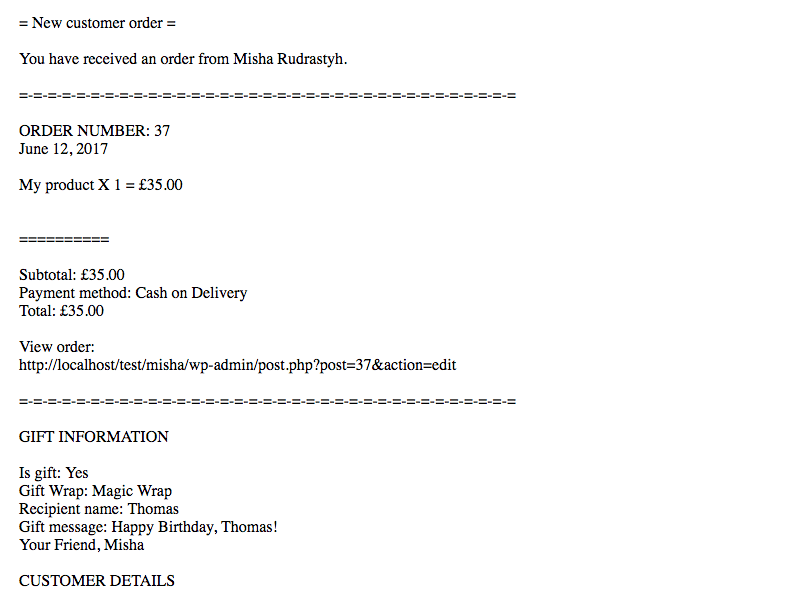 That’s how it looks when you add order meta to emails with woocommerce_email_order_meta_fields filter hook. By the way, this filter can be useful when you want to unset() some of fields that were set by a plugin. Hi, thanks for your example, it looks great! I have one question: In which e-mails will this meta-information be displayed? Are this all the e-mails that are sent to the shop admin and does this include subscription e-mails (cancellations, renewals, switches)? In all emails related to orders. But I recommend to test it, you can use plugins like Email Customizer to check it. However, this works in emails to customers, but not to admin. Where do I need to change to make the email with “meta information” to admin as well? The code must be added to your current theme functions.php (or child theme or custom plugin). Yeah I found it later. Thank you! tried to hook in woocommerce_email_order_meta from my custom plugin but it doesn’t work! Same code in functions.php works fine. Any idea what i’m missing?